Jules and the Cops. 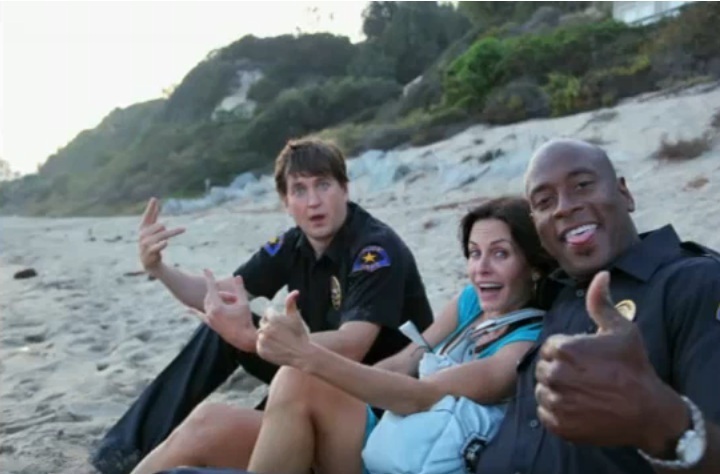 Courteney Cox, Bill Lawrence, and Randall Winston. Classic funny!. Wallpaper and background images in the Cougar Town club tagged: cougar town season 1 screencap courteney cox.